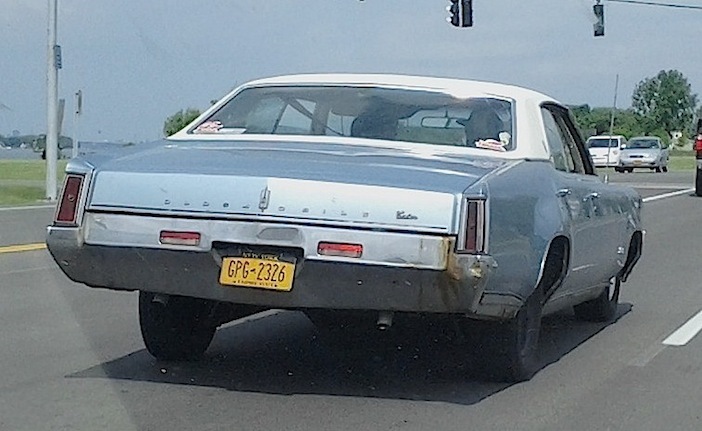 As I approached this 1969 Oldsmobile Delta 88 Custom one day last week in North Tonawanda, it reminded me of a kneeling Metro Bus. But then again, many of us lose a bit of our posture at age 46. That year’s brochure proudly proclaimed “…escape to happy-ever-aftering in a new Delta 88 Custom.” Which is probably where these guys were headed as we photographed them in their (again, quoting from the brochure) “…champion in the crusade against ordinary.” — Jim Corbran, RRofWNY The post RealRides of WNY appeared first on Buffalo Cars.